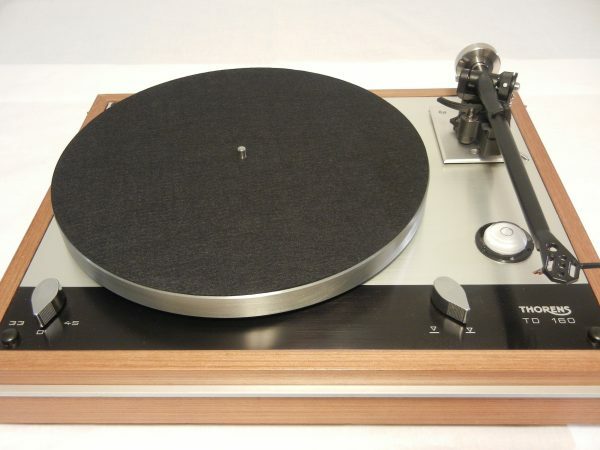 Superb Thorens TD-160 w/ Rega (Moth) RB-301 $795 plus shipping. Cosmetically, this table is a solid 9.0 on a scale of 1-10. (I’m a hard rater.) 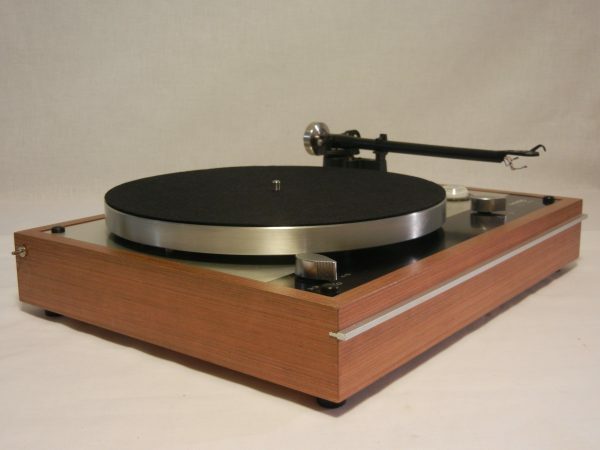 The real wood veneer is in outstanding shape: no splits or blemishes besides ultra- small areas of wear on the corners. The metal portion of the plinth is in excellent condition, with no scuffs or scratches. The dust cover is in very good to excellent condition. 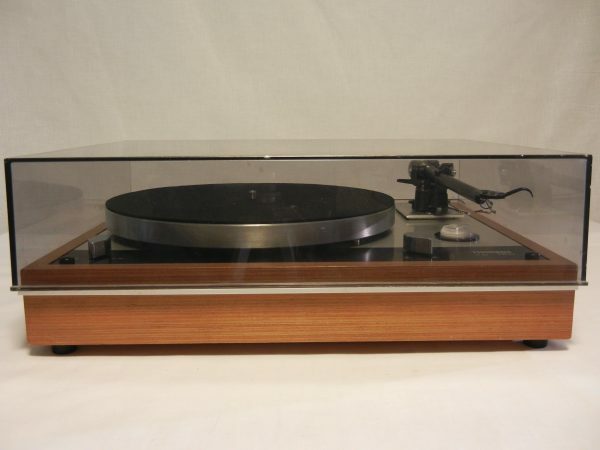 They don’t come much nicer than this given that unforgiving plastic that Thorens used. 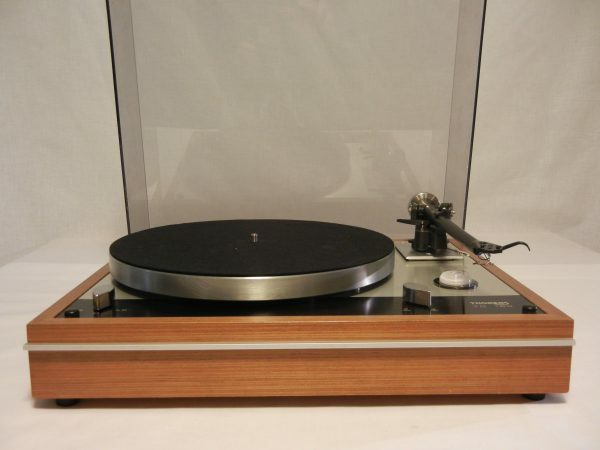 Rega arms are continually hailed as one of the best values in audio. 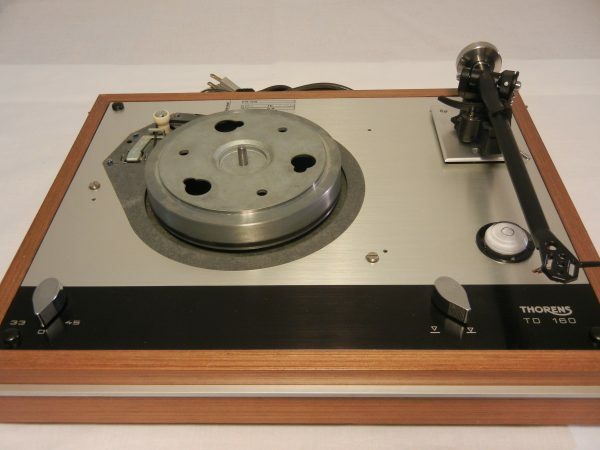 This used stock RB-301 is in excellent condition, with some very slight wear at the headshell. If you purchase this table, I can discuss cartridge options as part of the sale. I am a dealer of Grado, Ortofon, and Dynavector cartridges. When I mount and align your cartridge, it makes set-up in your home incredibly easy, plus you get the peace of mind it’s been done right. The shipping is not included in the price. This table will be packed like it is a fragile pane of glass. I simply care too much for these tables to just shove them in a box. I will carefully pack the table in extra sturdy boxes. and bubble wrap. I prefer Fedex Ground. I truly love my job. What I love best is introducing someone new to the joys of vinyl, getting someone back into vinyl who left it for the “superiority” of cds, or helping someone else who does appreciate it to “move up.” In that regard, I do what few sellers do…if the buyer needs it, I can supply up to one hour of help by phone with set up. (At a mutually arranged time.) In general, most buyers don’t need it, but if there IS a problem, I am there. 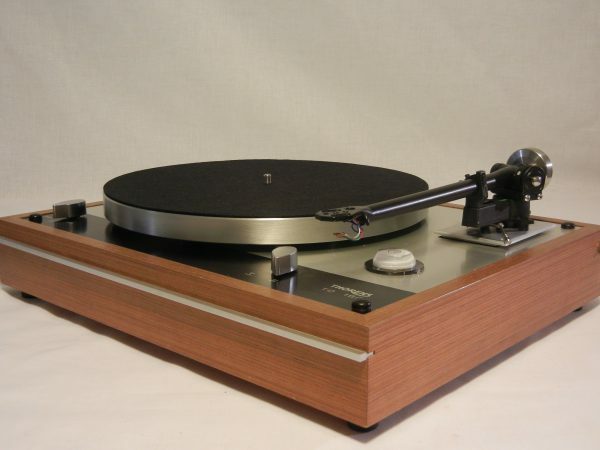 Original Thorens Dust Cover included! Very good to excellent condition.